Webinar to demonstrate the new features and bug fixes in the SurePath release scheduled for the weekend of May 19, 2018. 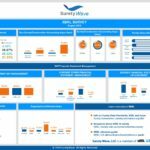 SuretyWave, LLC., the market leader in surety bond processing, shared key results of a recent survey on data analytics use by surety producers. While current analytics use is relatively nascent, with Microsoft Excel as their primary analytics tool for 83% of respondents, 42% were interested in custom reports and dashboards to better manage their business. They also showed strong interest in additional capabilities including mobile, benchmark reports, construction industry data, and text search/analysis. SuretyWave conducted the survey in January 2018; the 93 respondents were US-based. See our secure video page for Tech Talks, our Town Hall presentations, and members-only Webinars. Key resources on Surety Data Standards, XBRL, Electronic Bonding and more.